Oat-based foods, such as oatmeal, cereals and bread, are considered by many to be a healthy dietary addition, but if you eat such foods know that you’re probably getting herbicide residues along with them. 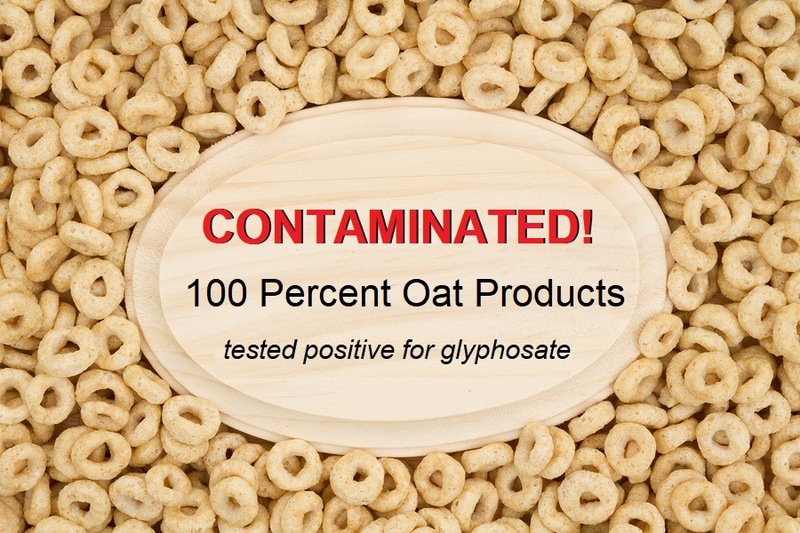 In testing done by Friends of the Earth (FOE), 100 percent of oat cereal samples tested positive for residues of glyphosate, the active ingredient in Roundup herbicide. I had posted your article on our Common Ground magazine FB page and received a comment from a reader saying that she looked through the whole article for at least one link to the studies, and found none. Can you shed some light on this as I too am questioning now why there is none? It is in the footnotes of the original article. We have now added a link in the body of the text. It doesn't mention organic oats. Why?? Examples of foods with detectable levels of glyphosate include Quaker Dinosaur Eggs instant oatmeal, Cheerios cereal, Nature Valley granola bars, Quaker steel cut oats and Back to Nature Classic Granola. Further, out of 16 organic oat foods tested, five contained glyphosate, although at levels below EWG’s health benchmark of 160 ppb." Check the "REFERENCE" section at the bottom of the article for links to the actual results from the studies and brands tested. Buy Organic. it is that simple. there are cheaper stores with organic foods. You can order online also. This story leaves the idea of Organic right out of thier story. I read the first 2 references and one had tested Organic, which had NO Glyphosate or only trace amounts. The simple truth, Americans are brainwashed into preparedness. Our politicians are tripping over themselves to serve Corporate Profit and the voters are too dumb to vote for anything but the ONE Party the feel is the answer. So brainwashed, to offer a good 3rd party candidate, they chime in brainless unitity, " and throw my vote away" and then they all voted for Clinton or Trump. They just passed a new law that allows the old " Pink Slime" to simply be labeled as low fat meat... it is trash, soaked in toxic chemicals to kill any bacteria that might of gotten into it as it laid on the ground. Now, just " Lowfat Meat"... wake up, " We the People" have created this beast from Hell. it is up to us to stop it. Check out the Refernces at the bottom of the article. I hope in time that you make gluten-free oats that have also been tested for glyphosate! As for the part in the article about the diapers (and other sanitary undergarments), hopefully Tropical Traditions can ramp up their testing and make their own brands of these products.